Locations across Wales are being encouraged to bid for the opportunity to host the iconic poppy sculptures which were previously installed at the Tower of London as part of the commemorations to mark the centenary of the beginning of the First World War. 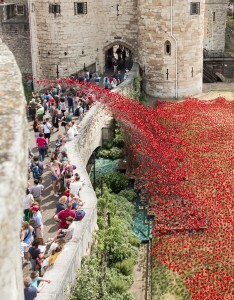 Two parts of the original Blood Swept Lands and Seas of Red, which attracted millions of visitors during its time at the Tower of London, will be displayed at locations across the UK in 2015 and 2016. 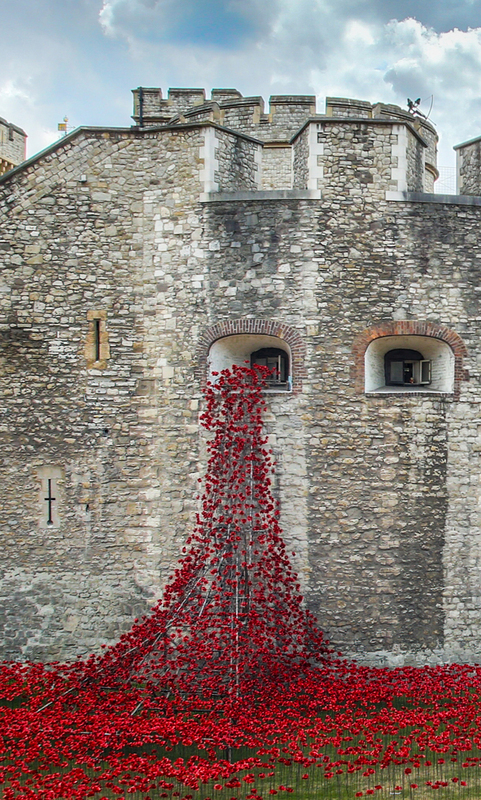 The ‘Wave’ and ‘Weeping Window’ have been saved for the nation by the Backstage Trust and the Clore Duffield Foundation, and gifted to 14-18 NOW and Imperial War Museums. Locations across the UK will now be considered to host the two sculptures and the Deputy Minister for Culture, Sport and Tourism, Ken Skates, is urging locations in Wales to put themselves forward for the opportunity. “The original installation at the Tower of London attracted millions of international visitors and became an iconic image for the centenary commemorations for the First World War. “We have been proud to lead the nation’s commemorative programme, Cymru’n Cofio Wales Remembers 1914-1918, and having an opportunity to feature the poppies here would be a great addition to the many commemorative events planned and attract many visitors to this stunning commemorative attraction. A number of criteria will be considered in choosing the locations, including ability to provide free access to view the work, the appropriate space to install the sculptures, and relevant resonance with the heritage of the First World War. The locations for the presentations across the UK will be chosen by a panel including the artist who created the original concept, Paul Cummins, designer Tom Piper, Director of 14-18 NOW Jenny Waldman, Ade Adepitan and Director-General of Imperial War Museums Diane Lees. The panel will consult with Historic Royal Palaces and other stakeholders in making their decision. 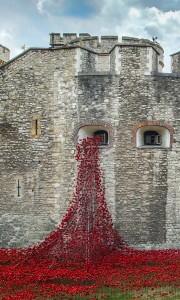 If you are interested in presenting one of the sculptures please email poppies@1418now.org.uk for an information pack. The deadline for applications to host the poppies in 2015 is 10am on Monday 22 June. The deadline for applications to host the poppies in 2016 is 10am on Monday 3 August. Expressions of interest to present the poppies in 2017 and 2018 will open in early 2016.